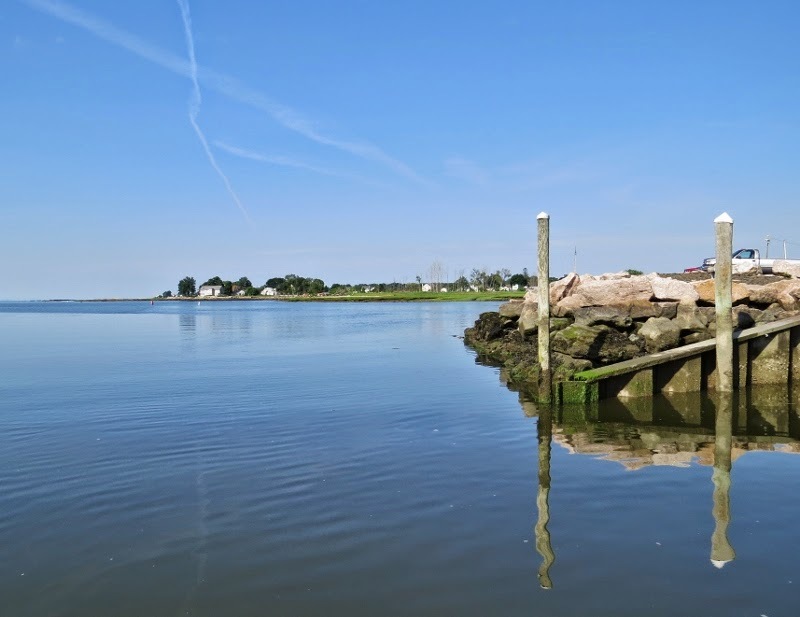 I was in Guilford, Connecticut this morning scanning the harbor with my binoculars searching for birds. Out In the distance I saw what appeared to be an animal swimming. 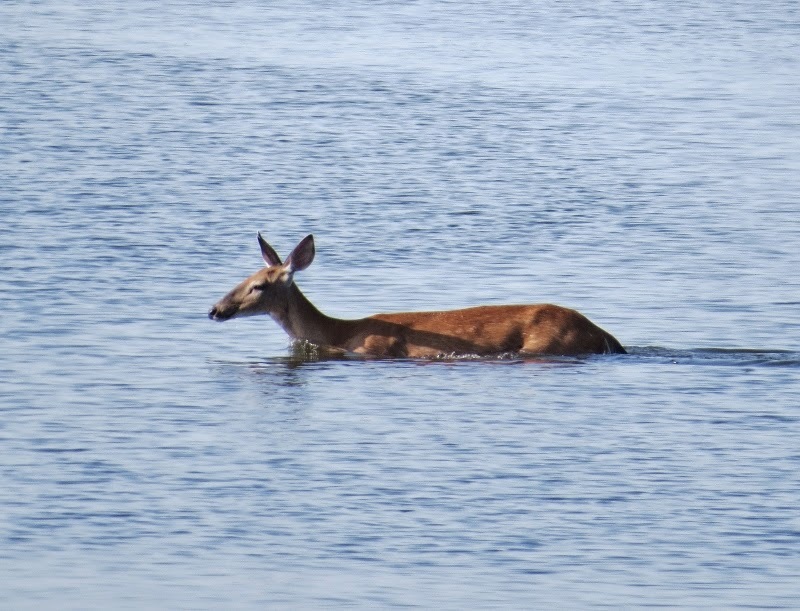 At first, only the head of the White-tailed deer was visible but then its body started to emerge from the water. I doubt it was going for a recreational swim. It might have been scared off or just wanted to join her pals on Grass Island. 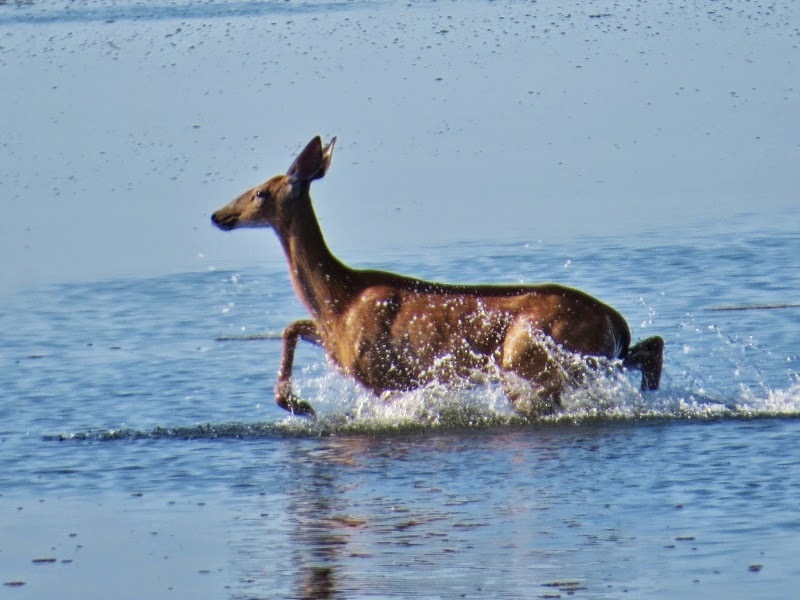 Once she hit dry land it was off to the races! You never know when nature might throw you a curve ball. I'm glad I was up early enough to catch it! 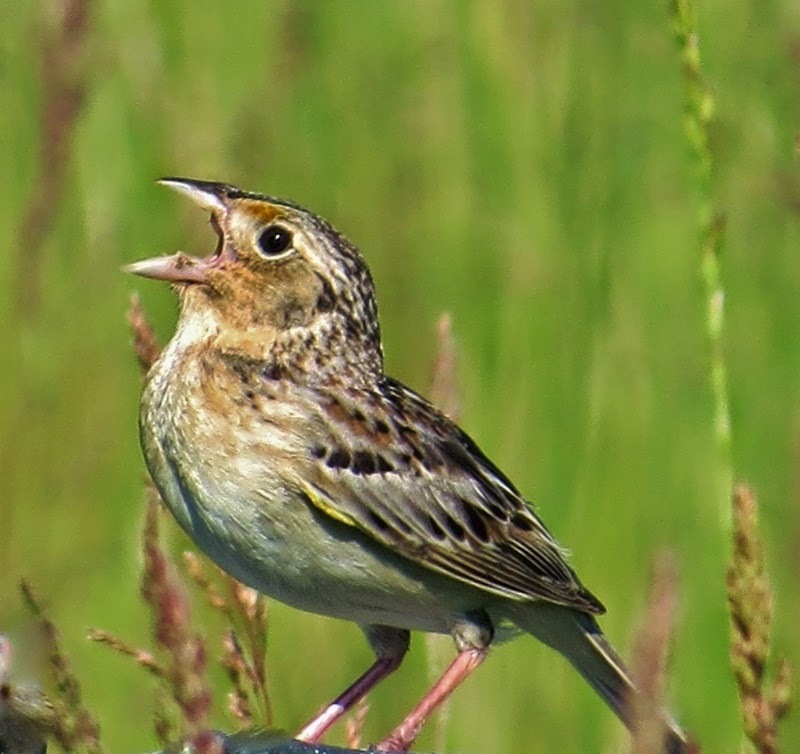 Both the Grasshopper Sparrow (above) and the Upland Sandpiper (below) are both endangered species in the state of Connecticut. Over a ten year period I've only had a handful of sightings of either one of them. Last weekend I found 2 Upland Sandpipers and a dozen Grasshopper Sparrows after a relatively short walk around the perimeter of an old airfield. 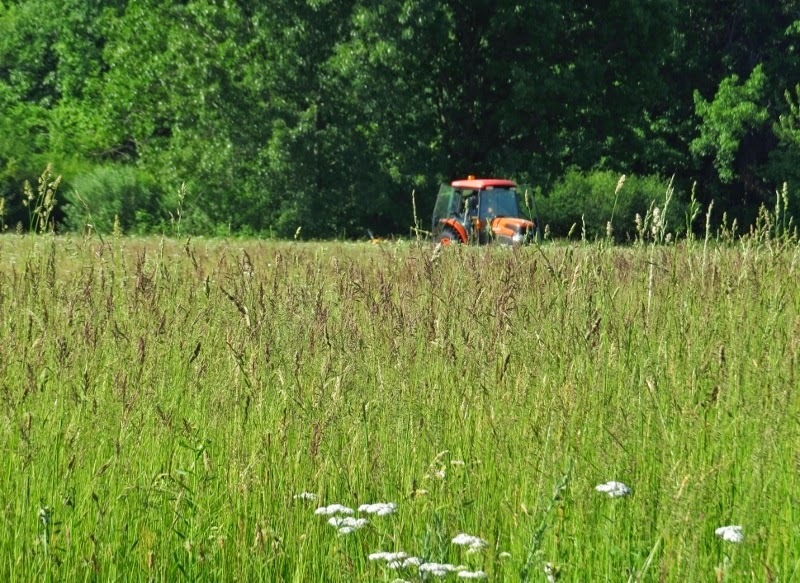 The field is privately owned and sadly, a decision was made to mow it down to prevent birds like these from nesting there. It would have been better if they had made this decision before the nesting season already started! After many complaints the mowing finally stopped after intervention from conservationists in high places but the damage had already been done. 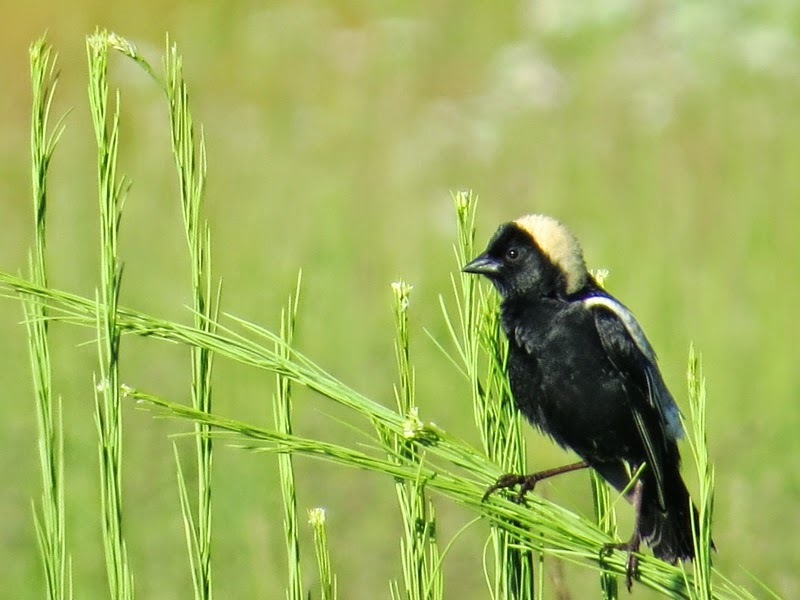 On the same morning I found several Bobolinks (above) and Eastern Meadowlarks. Both of these species are listed as birds of special concern by the DEEP. 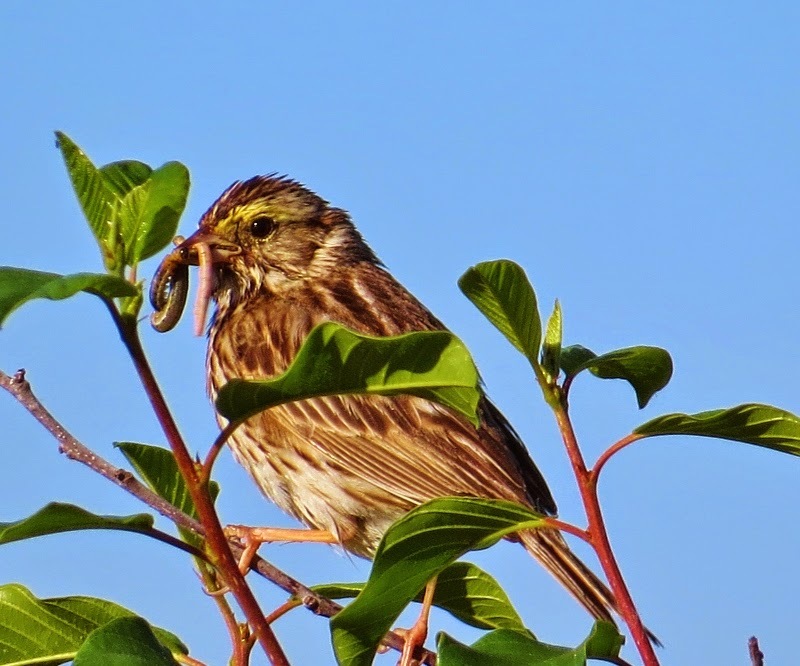 Savannah Sparrows, also a species of special concern, were abundant. 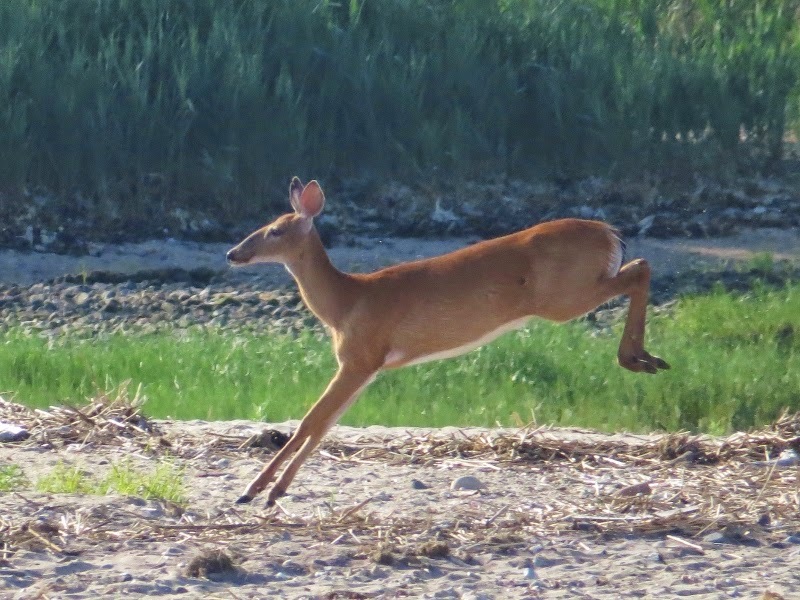 A visit to this field is like hitting the jackpot for Connecticut birders. I'm not going to bother mentioning the name of this field because it's slated for development soon. The habitat along with all these great birds here will soon be just a memory. The property was too expensive for the state to purchase for preservation. Unless a billionaire with an interest in protecting birds appears out of thin air then this is a foregone conclusion. 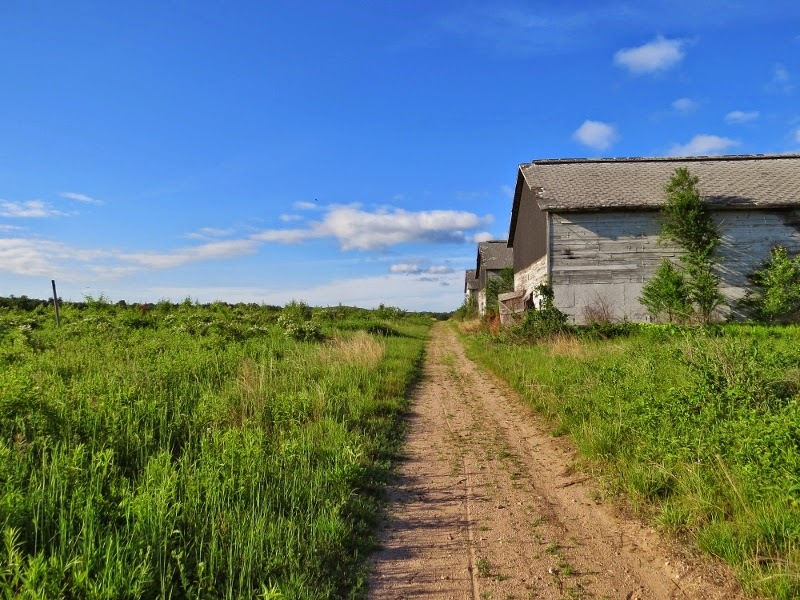 The state did however, buy some old tobacco fields in the town of Suffield in an attempt to replace what will be lost. 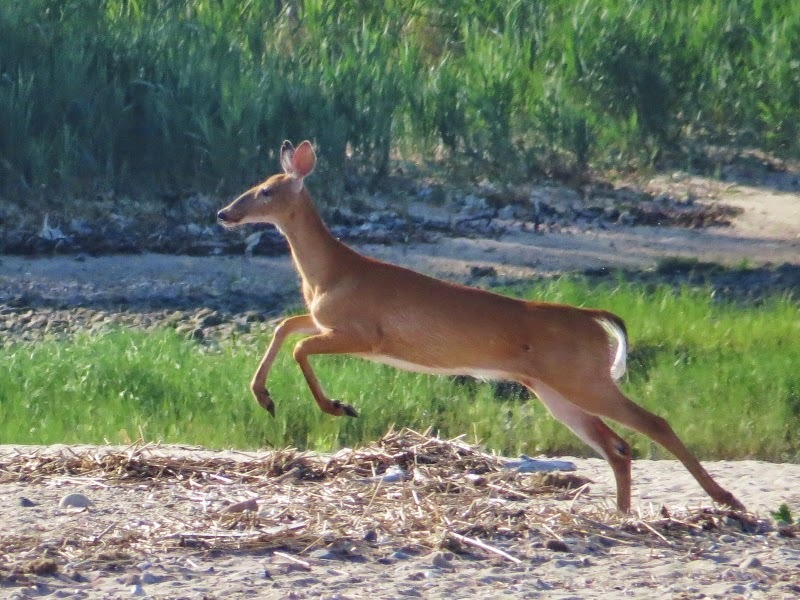 They are trying to manage the fields to attract the same species. I appreciate the effort but I am skeptical about what the results will be. It seems birds are usually better at choosing their habitat than people are but still, I hope it works out for the best. 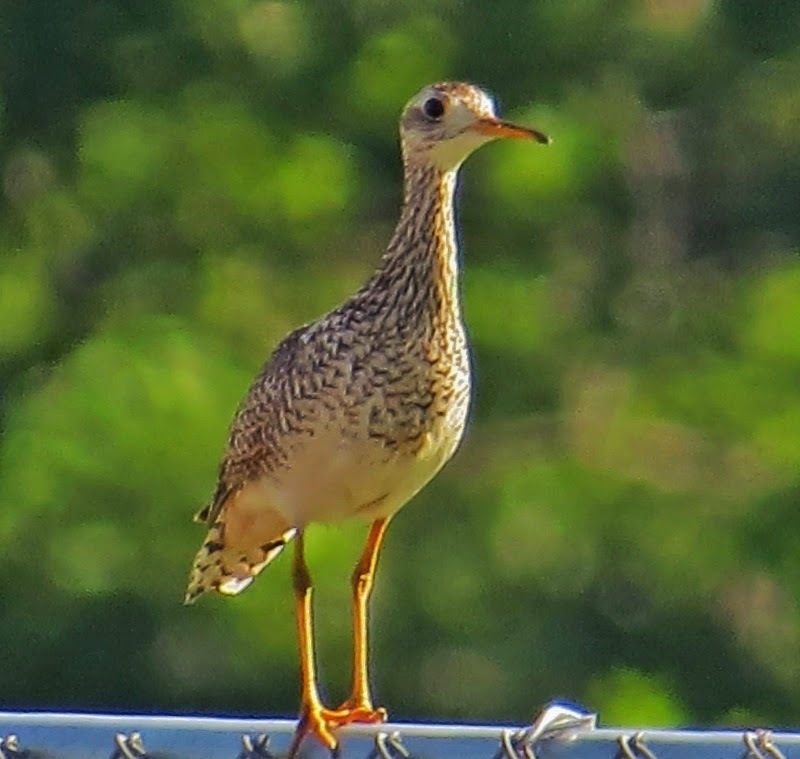 20 years from now I'd rather share a story of how grassland species once were rare instead of talking about a magical place in Connecticut where these birds used to exist. Migration Observations At Your Local Patch? 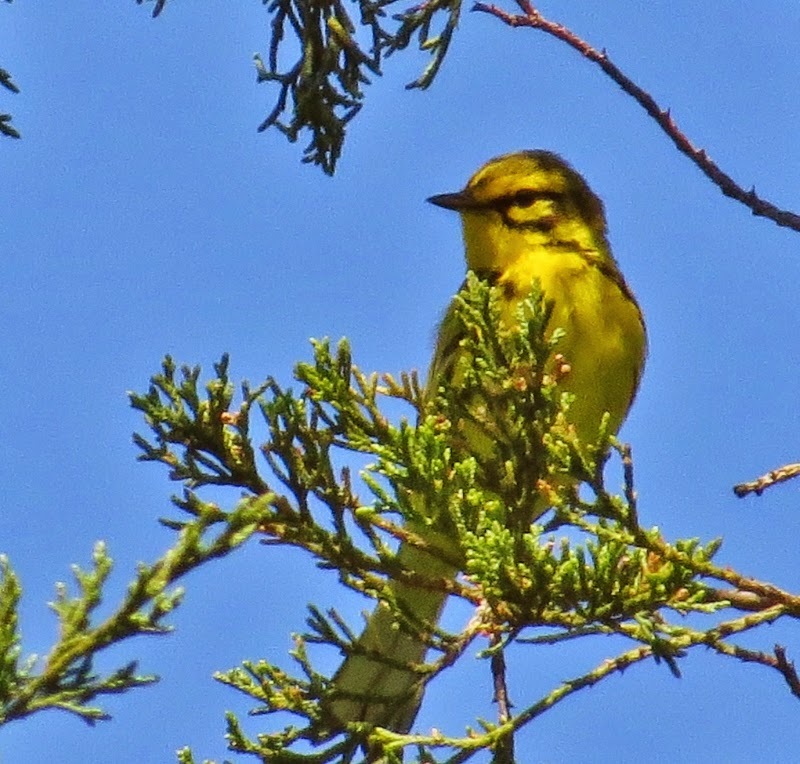 The month May is prime time for warblers and many other Spring migrants in Connecticut. Each year I like to keep tabs on what changes and what remains the same in terms of birds I find at my local patch. Most of these observations are subjective because it is limited to such a small area but here are a few things I've noticed this year. 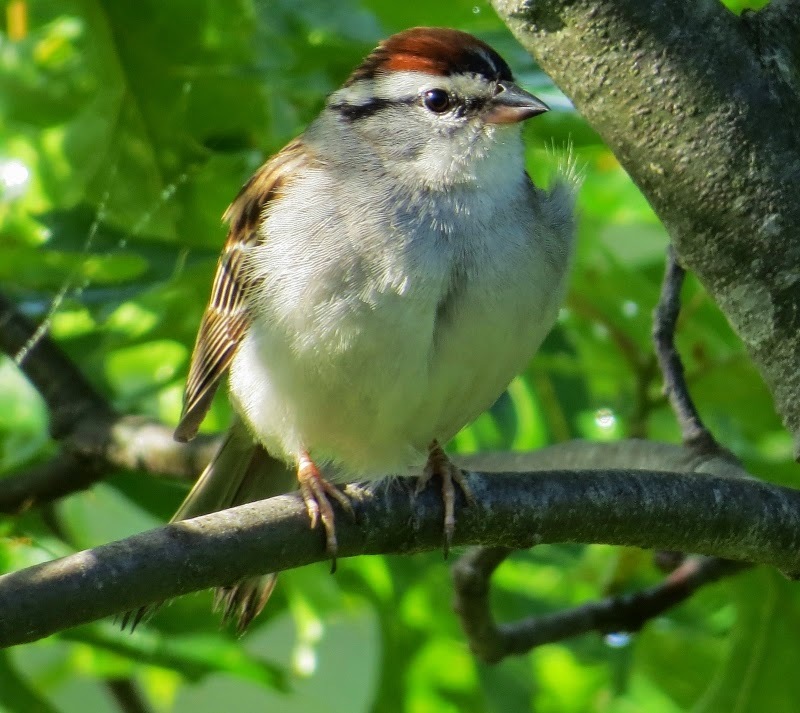 The Chipping Sparrow is an Under-appreciated Migrant: Most of the Chipping Sparrows leave Connecticut during the winter months and return in April. Their song sounds like a mechanical trill and I've noticed birders are disappointed when they discover they've found a Chipping Sparrow instead of the similar-sounding Pine Warbler. It seems they are numerous in my area as always and I hope it remains that way. One thing I like about Chipping Sparrows is that they allow you to get close to them before flying off, especially when they're picking through bits of gravel on the ground. Prairie Warblers like this one and Blue-winged Warblers continue to be numerous around my area,especially near power lines but I have not seen a Chestnut-sided Warbler in town for the last 2 years. I wonder why they've stopped coming here? I also noticed a decline in the numbers of Black-throated Green Warblers and Northern Parula that I've found this year. There's been years when it seems they were singing everywhere but only came across a few of each this season. I've yet to find a single Black-throated Blue Warbler in the area but Canada Warblers seem to be breeding again in Meshomasic Forest. Fortunately, American Redstart, Yellow Warblers, and Common Yellowthroats still seem to be plentiful. 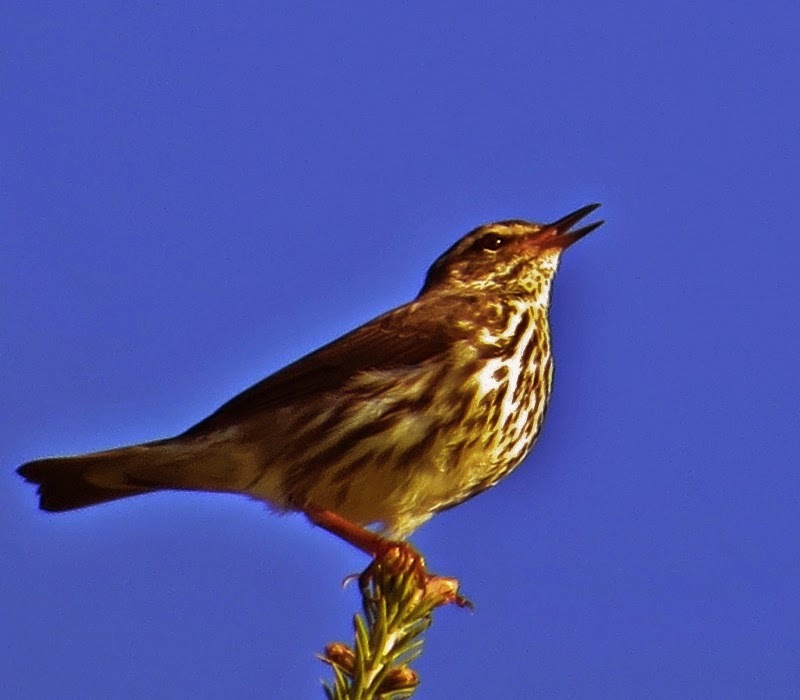 The Louisiana Waterthrush and Northern Waterthrush also continue to do well. I only saw this one for a brief moment but believe it was a northern based on its song. 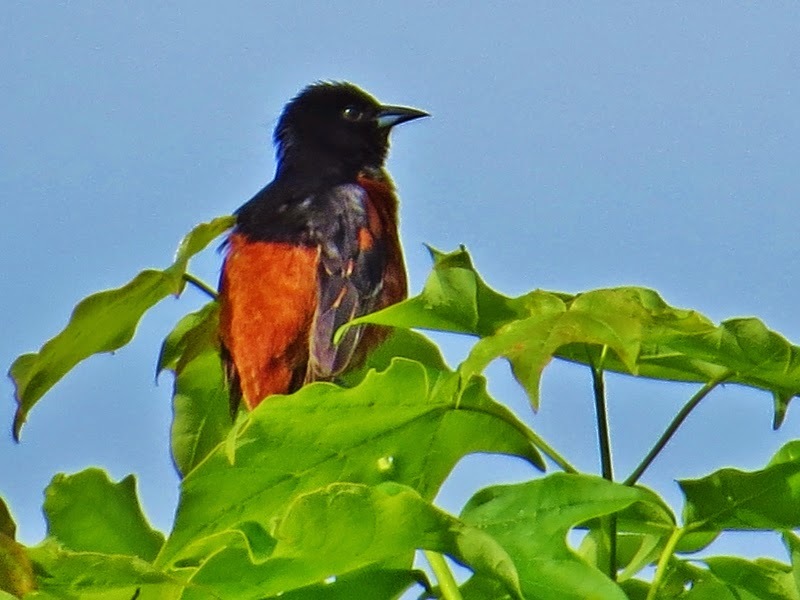 Orchard orioles are only found in select locations around Connecticut but I was pleased to see they have returned to Machimoodus Park once again this year and Hooded Warblers which are also picky about their habitat returned to our local Hurd Park. It seems flycatchers are having a good year. 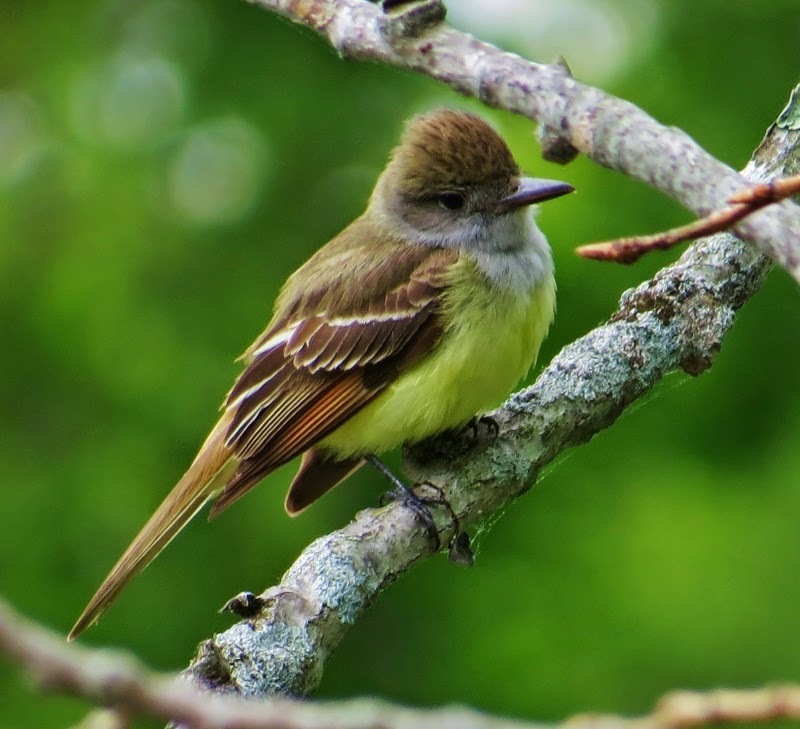 I counted 6 Least Flycatchers along one trail near the reservoir, numerous Willow Flycatchers in the meadows, lots of Eastern Wood-pewees, several Acadian Flycatchers spread out in the area, and a Great-crested Flycatcher (above) at every corner. Surprisingly, I've seen fewer Eastern Phoebes than usual. They're the ones that I usually see the most of. There are also a good number of Yellow-billed Cuckoos around this so far. So those are a few causal observations of what I've been seeing at my local patch. Have you noticed any changes in what you've been seeing or not seeing at your local patch?